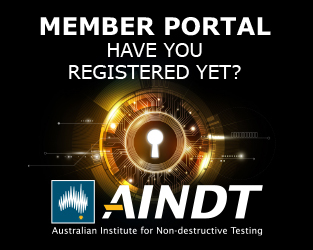 Welcome to AINDT’s website which is the Institute’s portal with respect to the latest information on what is happening in the world of NDT both here and overseas. The website also provides links that are of service to members of the Institute and to help promote the awareness of the benefits of NDT to the community and other related industry groups. AINDT has come a long way since it was first founded in 1963 by a committed group of individuals who received support and backing from several prominent organisations. Today, it stands as one of the leading technical societies in Australia with over 900 individual and company members. AINDT is part of the international community of NDT and is represented on the Executive Committee of ICNDT and also has voting rights as a member of the General Assembly. It plays a prominent role in the Asia-Pacific NDT community and is a member of APCNDT. It also has regional responsibilities in the SE Asia region and through the International Atomic Energy Agency (IAEA) supplies training and support to the 16 members of the Regional Cooperation Agreement. This website, therefore, has been upgraded significantly to assist in communication to its membership and to maintain AINDT’s focus on providing a better service to its members. 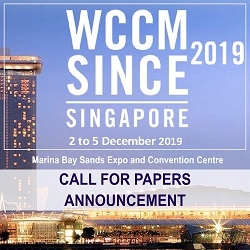 Membership is available to individuals & companies who have an interest in non-destructive testing or wish to keep informed about condition monitoring, diagnostic engineering, or materials and quality testing in general. Membership is also an excellent way to play an active role in the Institute and related industries in Australasia. AINDT is recognised internationally and holds third-party JAS-ANZ accreditation for its certification scheme to meet the requirements of ISO17024, ISO9712, ISO20807 & ISO18436. AINDT has played a leading role in the harmonisation of NDT personnel certification schemes in the SE Asia region, and continues to be a leader globally in all aspects of NDT and CM certification. The need for competent NDT & CM practitioners is paramount in all industries. In order to ensure compliance with ISO9712, ISO18436 & ISO17024, systems have been developed to ensure that NDT/CM personnel have appropriate training, have passed written and practical examinations (as required), and have enough experience to perform NDT tasks using the applicable test method or technique.